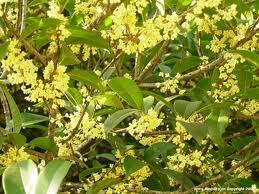 Osmanthus flower absolute from France. Species: Osmanthus fragrans. Family: Oleaceae.